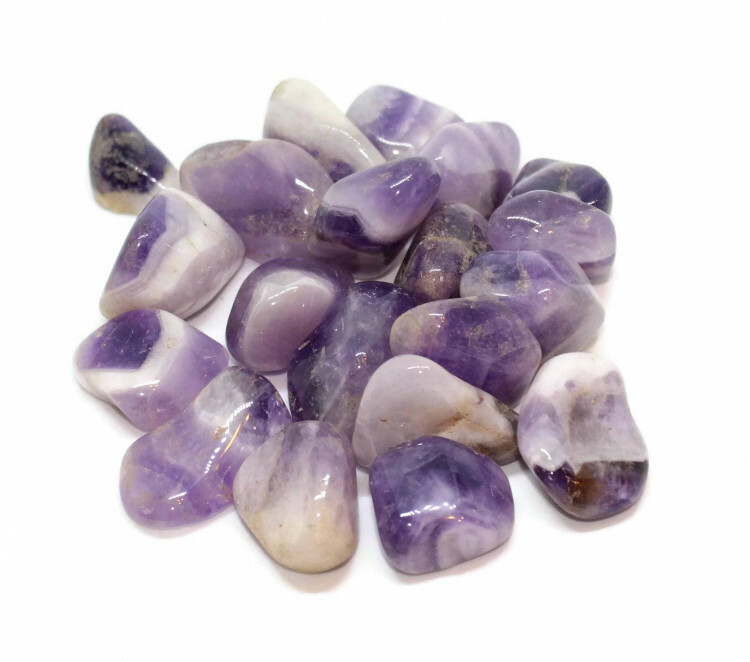 Tumbled Chevon Amethyst pieces, available in three different sizes. Chevron Amethyst tumblestones, available in three different sizes, from small to large. These pieces mostly have a nice purple hue, with their interesting white stripes. They’d make excellent display stones in a bowl or a small vase, or a smaller fishtank. They’re quite a statement stone, and I prefer to display them on their own, personally. We sell a wide variety of Amethyst products, including other tumblestones in different sizes and grades, rough stones, carvings, polished stones, and more. Please see our main Amethyst section for more information. 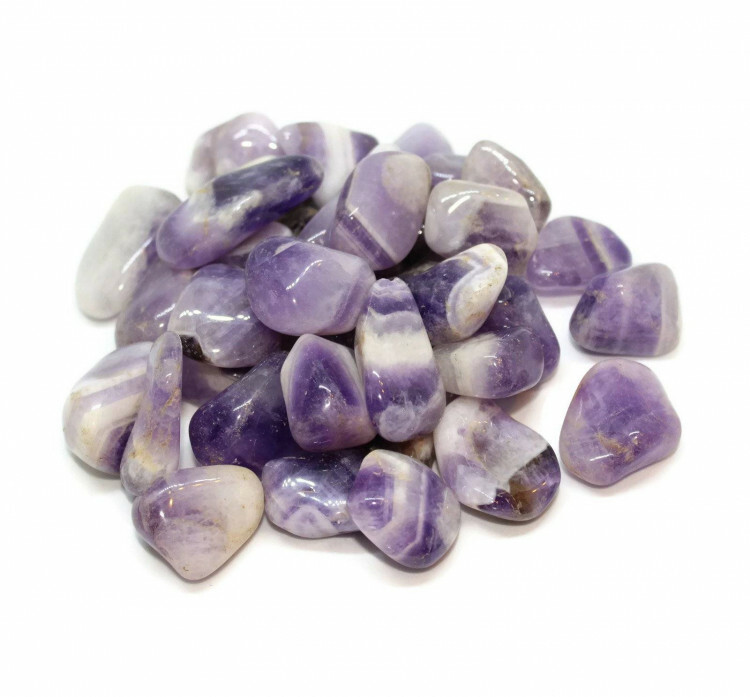 We don’t just sell Amethyst, though – there is a range of hundreds of semi precious gemstone tumblestones waiting for you.